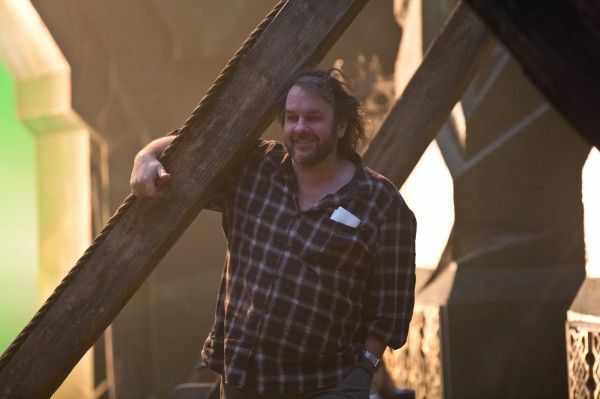 Filmmaker Peter Jackson has now made six full-length feature films out of material from author J.R.R. Tolkein. 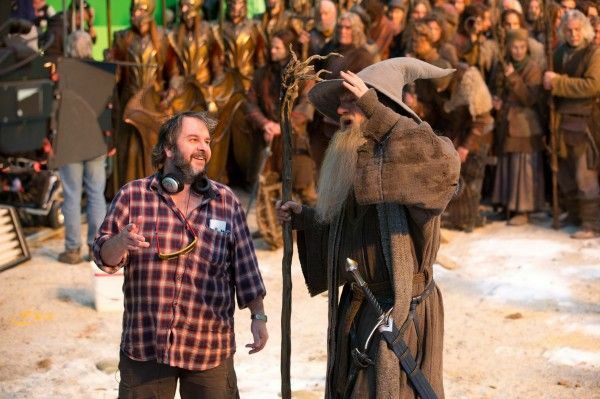 While Jackson’s return to Middle-earth following the brilliance of his Lord of the Rings trilogy was originally welcomed, interest in his new The Hobbit films waned after the first film turned out to be a bit of a slog. You can blame the stretching of the material, the shooting in 48 fps, or simply a weak story to begin with for how this trilogy turned out (though to be fair it certainly has its fans), but none of that really matters now. The final installment, The Hobbit: The Battle of the Five Armies opens in theaters in two days, and all eyes are on what Jackson will turn his attention to next. He’s an undeniably talented filmmaker with a penchant for eye-popping visuals, but Jackson says that after making three massive movies in a row, he’s ready to turn his attention to stories with a much, much smaller budget. But that doesn’t mean he’ll completely rule out a return to Middle-earth sometime in the far future. Read on after the jump. “We’re right on the cusp of a major upheaval of the entertainment world once that technology really kicks in,” he says. Jackson will devote a year or two on the project, but he’s not sure if the best fit will be for films or videogames. I can’t really say I’m onboard with virtual reality as a “game-changer” in the film world. Jackson argues that the theater audience is falling away and they “need to experiment to survive”, but I’d say the larger issue is studios’ reluctance to try anything too different or outside the box for fear of not giving the audience exactly what they expect. If nearly all the tentpoles released in a year are going to give audiences the same thing in terms of visuals, structure, character, etc., there’s no incentive to go out and see these things in the theater. But this is an argument for another day, and Mark Harris has already brilliantly explored this issue at greater length. Anyway, as a big fan of Heavenly Creatures it’s certainly encouraging to hear that Jackson is interested in telling those kinds of stories once again, but his post-LOTR attempt at a smaller, more character-centric story with The Lovely Bones didn’t really work out too well. Given Jackson’s talent, I’m willing to give him the benefit of the doubt and remain optimistic about him taking another crack at that kind of movie. But where does this leave The Adventures of Tintin sequel? The initial plan with the Steven Spielberg-directed and Jackson-produced motion-capture film was for the two to swap roles on the sequel, with Jackson directing and Spielberg producing. As recently as last year Jackson was saying he’d make Tintin 2 after he finished The Hobbit films, but the Variety profile makes no mention of the Tintin follow-up and Jackson seems pretty eager to tell his “New Zealand stories”, so I have to wonder if that’s been put on the backburner for now. Jackson’s attachment to the material is understandable given that he’s devoted so much time and energy to making this iconic franchise a reality. 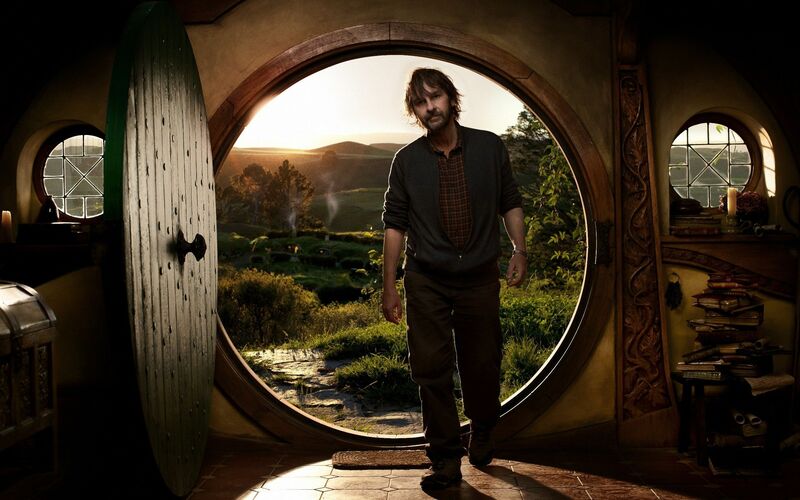 Despite the fact that The Lord of the Rings is based on existing works, many have drawn parallels between this franchise and the Star Wars series. It’s true that both became global phenomenons against steep odds and will endure for decades to come, and since Jackson has been the overseer of it all, it really does feel apt to deem him the George Lucas of the Tolkein universe—for better or worse.